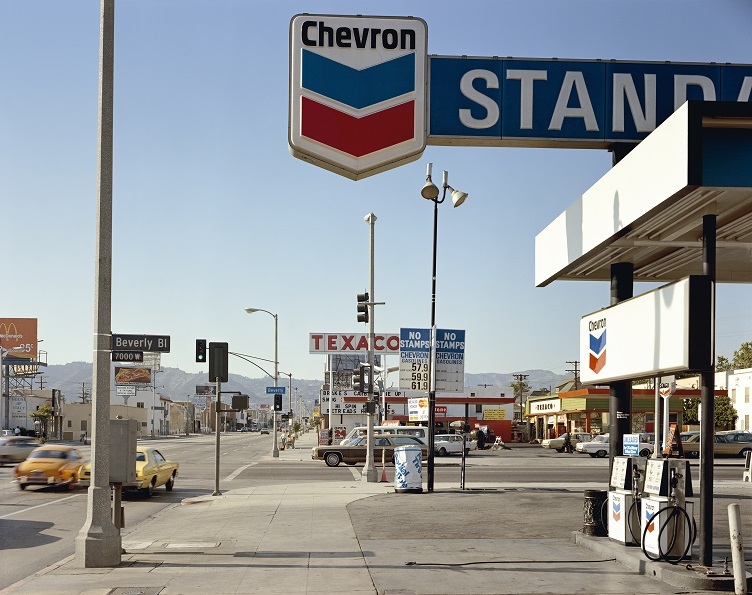 Stephen Shore’s America is empty. 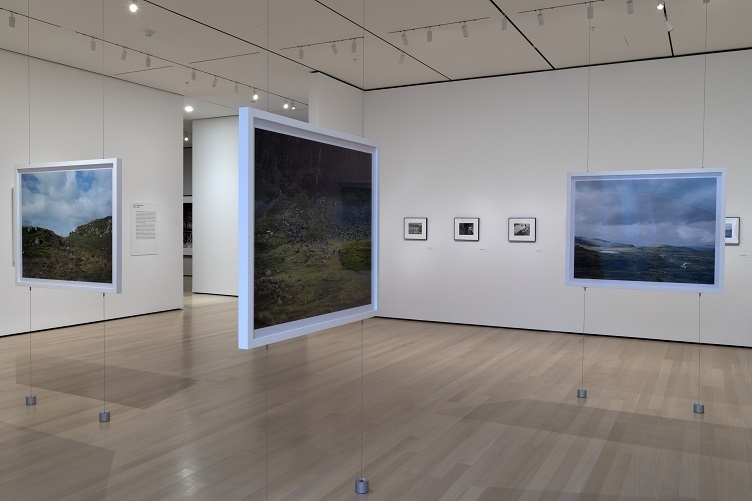 From his postcards to his large-format photos, Shore has long been preoccupied with the wide-open spaces of the American West and, like his contemporary Robert Adams, humanity’s smallness in relation to them. Stephen Shore’s America is also full of crap. I don’t necessarily mean that in the rhetorical sense—although that’s also true—but in the material sense. The tin and polyvinyl clutter of late-capitalist American culture often populates his frame. Christmas decorations, gas station marquees, toys, and soda cans are as common as human subjects. Rather, the success of Stephen Shore is in its kitchen-sink approach. The show is immersive, a flood of images ranging from 3-by-5 Kodacolor photos mounted directly to the wall to enormous framed prints suspended from the ceiling. [Fig. 1] It spans Shore’s entire career and includes works from every format the photographer has adopted—from 35mm to 8-by-10 to Instagram—without tipping over into visual overload. 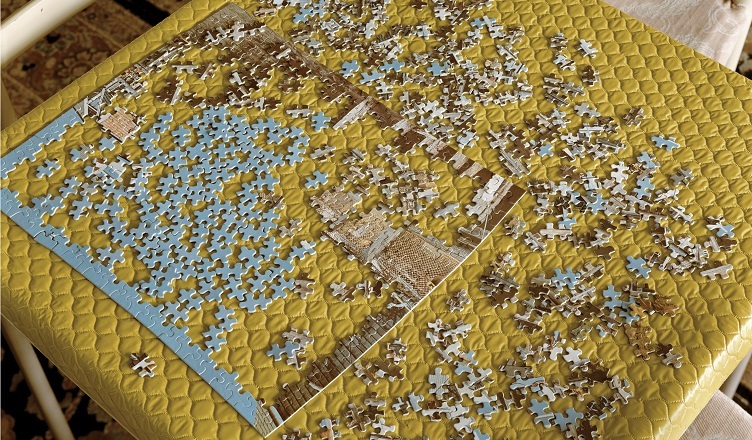 In other words, the exhibition solves the “problem” of Stephen Shore by not solving it at all. And to the extent that Shore’s career has had a central subject, it becomes clear that it’s America itself, in all its majestic, kitsch glory. Thornton was correct. All the Meat aimed to restore everyday photography to a medium that had only recently split into “fine art photography” and basically everything else. The Museum of Modern Art exhibition faithfully reproduces the installation based on the original groupings. Stare at it long enough and a visual vernacular begins to suggest itself: high and low, beautiful and tawdry. The scopophilic assemblage of seemingly disparate images is now familiar to anyone who has clicked their way down a rabbit hole on Tumblr, Pinterest, or Instagram. And while the MoMA show is certainly more clearly organized than All the Meat, they share an all-inclusive ethos. Taken together, though, these two projects—which span roughly 1972 to 1981—also comprise an important chronicle of a United States in the throes of rapid economic and social change. The depopulated town center of 2nd Street East and South Main Street, Kalispell, Montana, August 22, 1974 and the gas stations that sprawl to the vanishing point of Beverly Boulevard and La Brea Avenue, Los Angeles, California, June 21, 1975 already suggest the traumas of deindustrialization, the oil crisis, and the 1973 recession. [Fig. 3] Even a photo as unassuming as Badlands National Monument, South Dakota, July 14, 1973, which foregrounds a forest green Plymouth muscle car and a bile-yellow compact car against the Badlands’ regolithic strata, can be understood as a symbol of the environmental ravages of the twentieth century and of the economic contraction from which the United States has never recovered. Viewed in isolation, each of Shore’s photos offers such an instance of defamiliarization. But to experience this exhibition is to see these shards of Americana reassembled into something like a thematic whole. Bajac situates Shore in the “long American tradition of elevating the simple and the commonplace, in form as well as content, to a certain poetry and a way of life” that originates with Ralph Waldo Emerson and Walt Whitman.8 Shore’s vision is just as capacious, just as unsystematic, and might someday be regarded as equally essential to our understanding of American culture. Quentin Bajac, Stephen Shore (New York: Museum of Modern Art, 2017), 10. 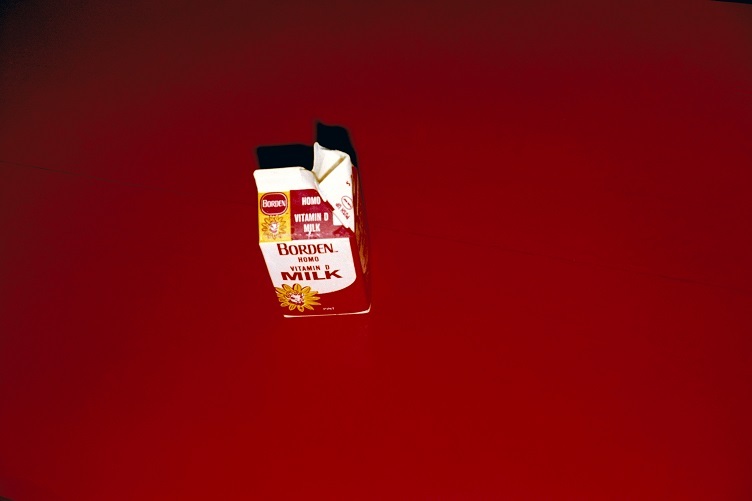 Stephen Shore, The Nature of Photographs: A Primer (New York: Phaidon, 2007), 53. Gene Thornton, “From Fine Art to Plain Junk,” New York Times, November 14, 1971, D38. 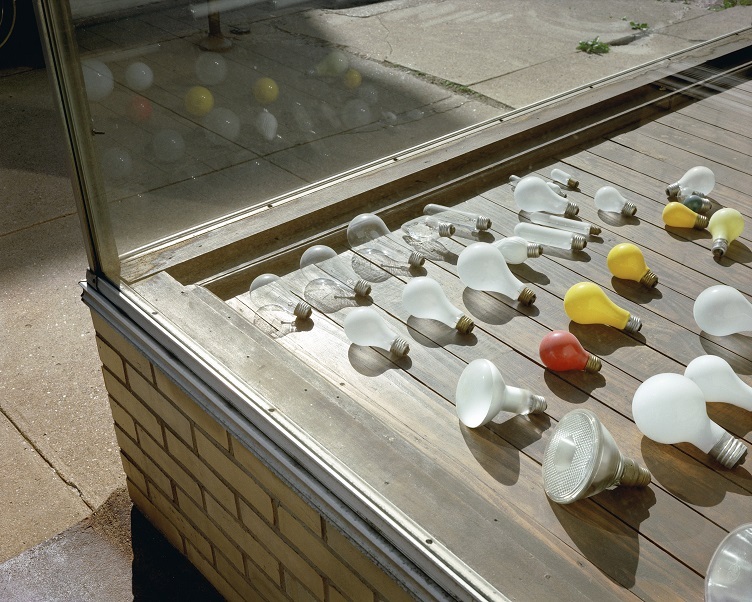 Stephen Shore in a Conversation with Lynne Tillman,” in Uncommon Places: The Complete Works (New York: Aperture, 2004), 179. Susan Sontag, On Photography (New York: Picador, 1977), 23. 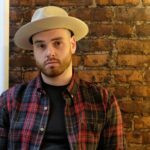 Josh Schneiderman is completing a dissertation on the poetics of ephemerality in postwar American poetry at the Graduate Center of the City University of New York. He edited the 1955-56 correspondence of Kenneth Koch and Frank O’Hara (Lost & Found, 2009), and his writing has appeared in Art in American, Contemporary Literature, Journal of Modern Literature, Los Angeles Review of Books, and Public Books. He teaches at Hunter College.